MS Allure of the Seas is an Oasis-class cruise ship owned and operated by Royal Caribbean International. 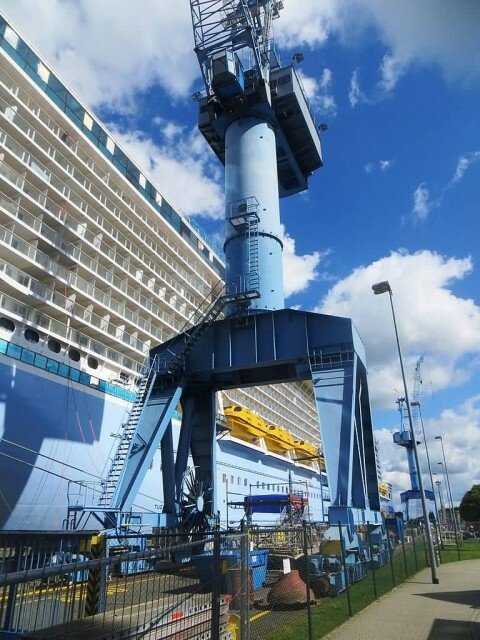 The Oasis class are the largest passenger ships ever constructed and Allure is 50 millimetres longer than her sister ship Oasis of the Seas, though both were built to the same specifications. 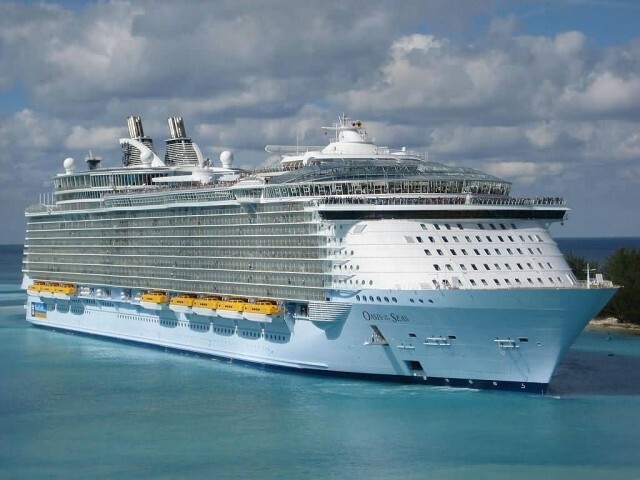 The gross tonnage of Allure of the Seas is 225,282 and her displacement is equal to that of Oasis of the Seas, which is estimated to be around 100,000 metric tons, slightly less than that of an American Nimitz-class aircraft carrier. Her steel hull alone weighs roughly 54,000 ton. 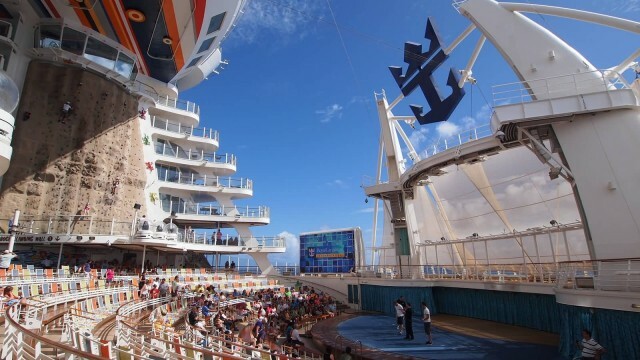 The ship features a two-deck dance hall, a theatre with 1,380 seats, an ice skating rink, 7 distinct “neighborhoods and 25 dining options, including the first Starbucks coffee shop at sea. Many of the ship’s interiors were extensively decorated by muralist Clarissa Parish. The system cost US$600,000 and covers an area of 2,000 m2. It uses Uni-Solar BIPV laminates designed to withstand foot traffic and marine conditions. MS Oasis of the Seas is an Oasis-class cruise ship, delivered to her owner, Royal Caribbean International, in October 2009. The first of her class, she was joined by her sister ship MS Allure of the Seas in December 2010. Both vessels cruise the Caribbean from Port Everglades in Fort Lauderdale, Florida and also the Mediterranean. She set a new record of carrying over 6,000 passenger. 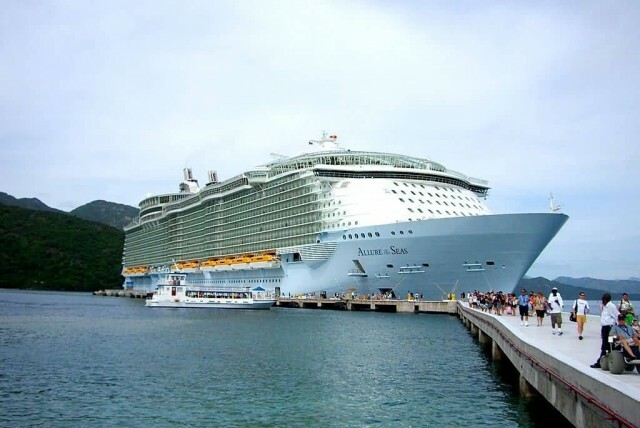 The gross tonnage of Oasis of the Seas is 225,282. Her displacement, the actual mass of the vessel, is estimated at approximately 100,000 metric tons, slightly less than that of an American Nimitz-class aircraft carrier. The ship carries 18 lifeboats that hold 370 people each, for a total of 6,660 people. Inflatable life rafts provide for additional passengers and crew Oasis of the Seas offers passengers features such as two-story loft suites and luxury suites measuring 150 m2 with balconies overlooking the sea or promenades. 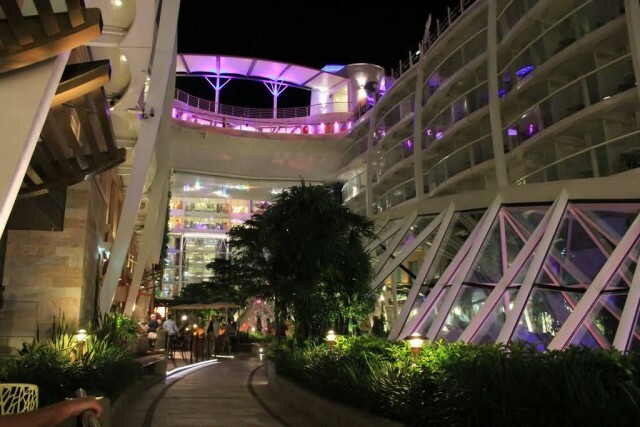 The ship features a zip-line, a casino, a miniature golf course, multiple night clubs, several bars and lounges, a karaoke club, comedy club, five swimming pools, volleyball and basketball courts, theme parks and nurseries for children. Many of the ship’s interiors were extensively decorated by muralist Clarissa Parish. MS Quantum of the Seas is a cruise ship for Royal Caribbean International (RCI) and the lead ship of the Quantum class of cruise ships. The Quantum class surpasses RCI’s earlier Freedom-class ships by over 14,000 GT, becoming the second largest class of passenger ships behind RCI’s Oasis class ships on a gross tonnage basis. 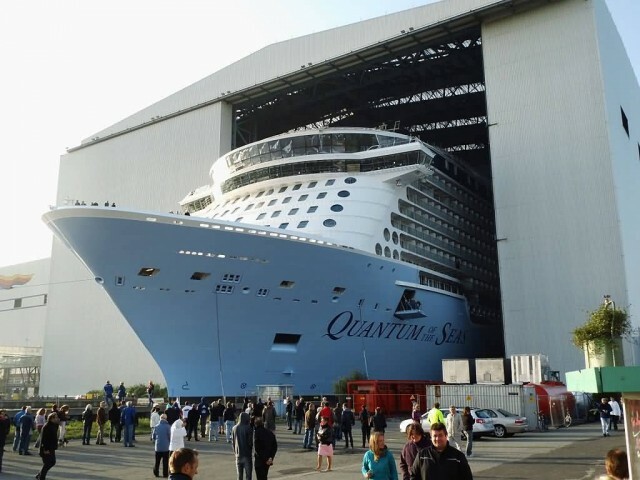 Quantum of the Seas was delivered to RCI on October 28, 2014 and is sailing from Shanghai, China. 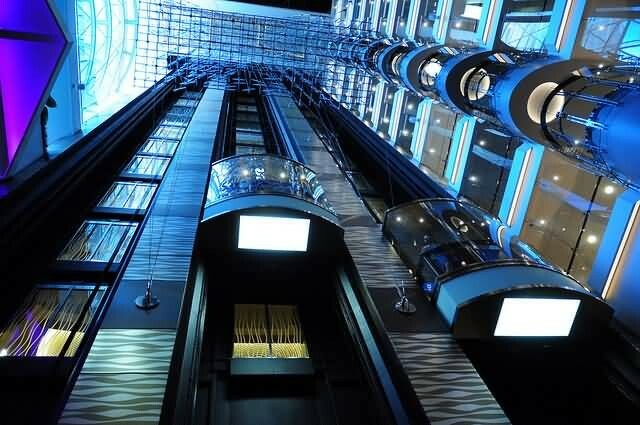 Quantum of the Seas has 16 passenger-accessible decks, 8 of which feature balcony staterooms overlooking the ocean. Like the Celebrity Solstice class, those staterooms above the life boats are recessed into the superstructure and do not look down directly at the ocean. There are a total of 2,090 staterooms, 1,570 balcony staterooms, 147 ocean-view staterooms and 373 inside staterooms. Of those staterooms, 34 are wheelchair accessible and 28 are studio staterooms for single travelers (including 12 studio staterooms with balconies). All aft-facing staterooms are 2-story “loft” suites. Expanding on the “Virtual Porthole” concept introduced by Disney Cruise Line on the Disney Dream, all the interior staterooms feature a floor-to-ceiling 80-inch high-definition TV screen showing live views from the outside of the ship, which Royal Caribbean calls a “Virtual Balcony”. On average, staterooms on the Quantum class are 9 percent larger than those on the preceding Oasis. 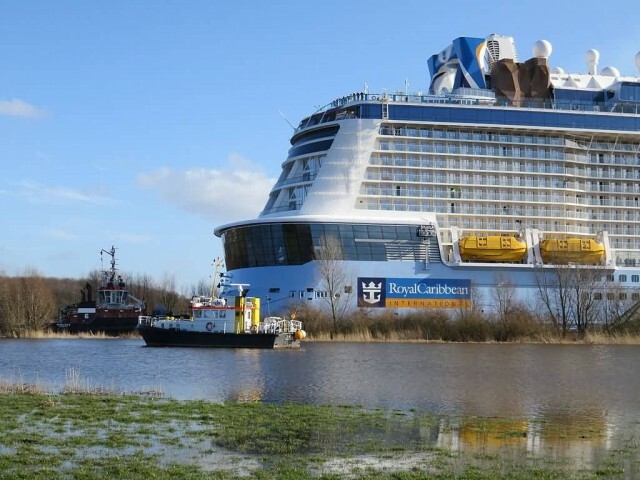 MS Anthem of the Seas is a cruise ship operated by Royal Caribbean International (RCI). 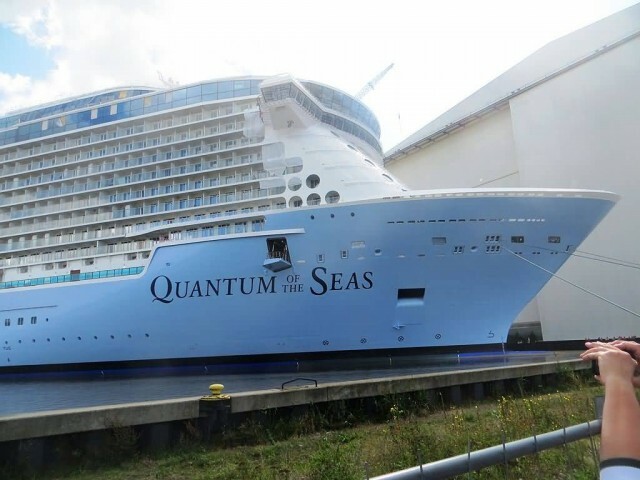 She is the second ship of the Quantum class, which surpasses the earlier Freedom-class ships by over 14,000 GT, becoming the second largest class of passenger ships behind RCI’s Oasis class ships on a gross tonnage basis. 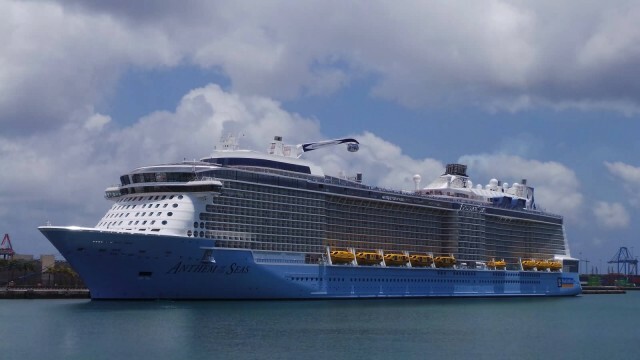 Anthem of the Seas was delivered to Royal Caribbean on April 10, 2015, and christened on April 20, 2015. There are a total of 2,090 staterooms: 1,570 balcony staterooms, 147 ocean-view staterooms and 373 inside staterooms. Of those staterooms, 34 are wheelchair accessible and 28 are studio staterooms for single travelers (including 12 studio staterooms with balconies). Like the earlier Freedom and Oasis-class ships, the “Sports Court” on deck 15 aft features a Wave Loch Flowrider surf simulator and a rock-climbing wall. A new feature on the Quantum class is “RipCord by iFLY”, a skydiving simulator set in a recirculating indoor recreational vertical wind tunnel. 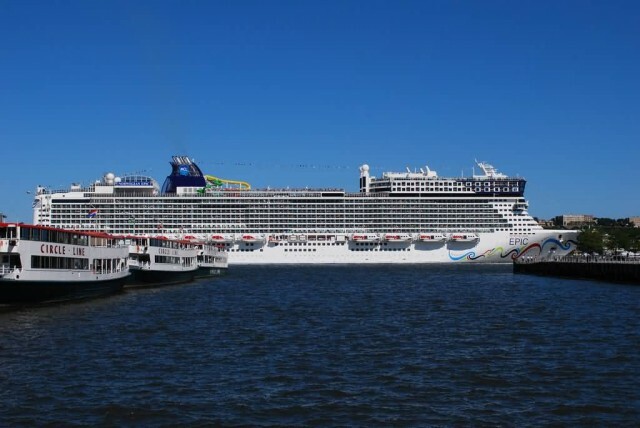 Norwegian Epic is a cruise ship of the Norwegian Cruise Line built under that line’s F3 Project by STX Europe Chantiers de l’Atlantique shipyard in Saint-Nazaire, France. When built it was the third largest cruise ship in the world. Two ships in this class were ordered by NCL in November 2006, with an option for a third vessel that was not exercised. A dispute between NCL and STX initially resulted in the construction of both ships being placed on hold until a new agreement was reached. That called for completion of the first ship would be completed; the second ship was cancelled in 2008. The sole remaining ship, Norwegian Epic, was delivered to NCL on 17 June 2010. 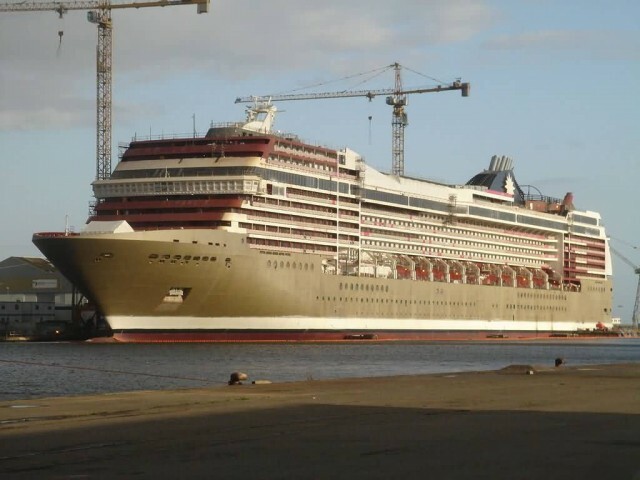 The ship has 4100 passenger berths, with all outside cabins having balconies. The Epic introduced 100 square foot interior studio cabins for solo passengers, including a shared “living room” for socializing. 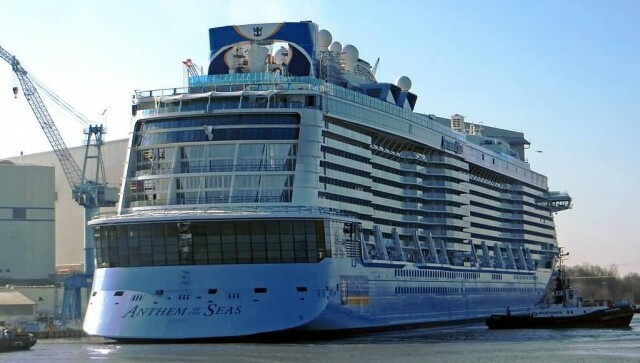 NCL had stated that this ship would have 60% more passenger space than their then largest ships.